Martyn Schorr: Howard, I just posted coverage of the Malba NY show that survived rain., High point was the firing up of #8 Black Beast and your assistant driving it down the road! 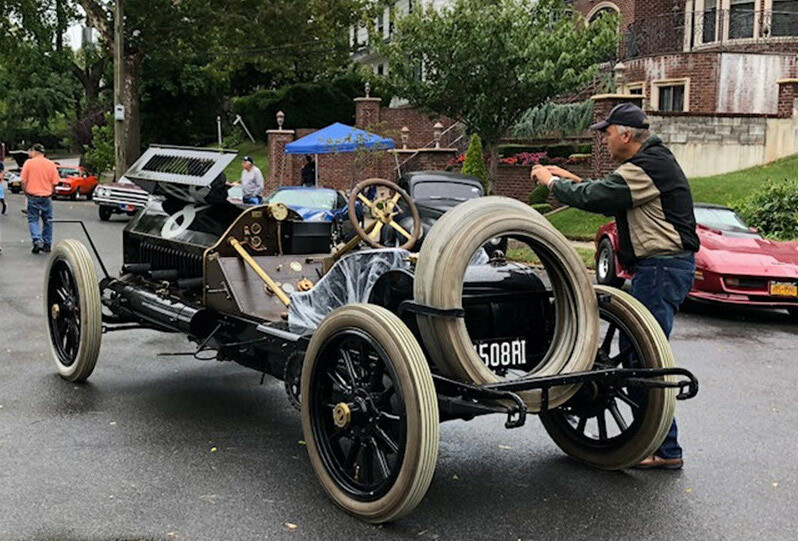 More than 150 muscle cars, hot rods, customs and vintage and modern Corvettes had signed up for Malba’s Annual Fall Classic Car Show. However, Mother Nature rained on their parade and only a quarter of the cars showed up. But the show went on. 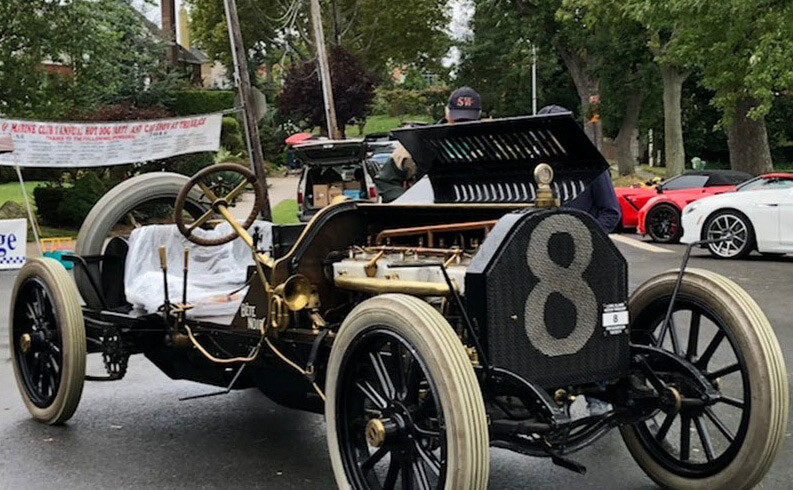 While the rain kept many of the high-profile open cars away, there was a high percentage of Corvettes and one of America’s most important historic racecars and winner of the 1909 and 1910 Vanderbilt Cup races on Long Island, NY. Noted collector, historian and Long Island resident, Howard Kroplick, owns the spectacular #8 ALCO built by the American Locomotive Company. 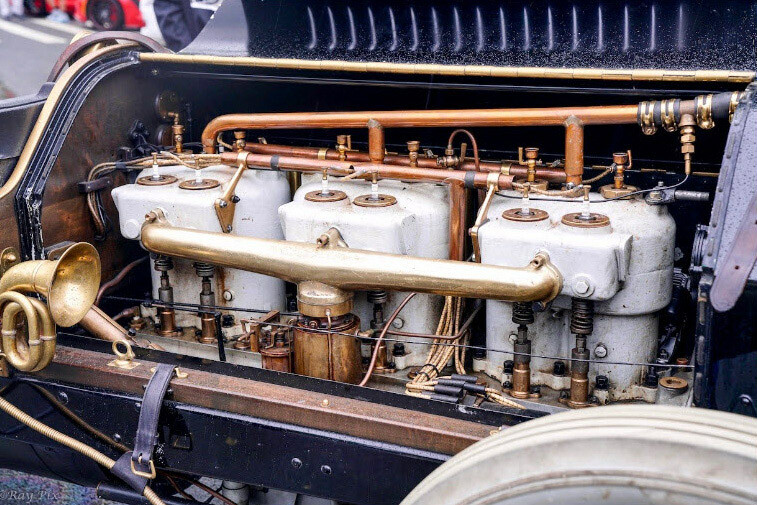 Harry Grant drove the ’09 ALCO ‘Black Beast’ (Bete Noire), powered by a 100-horsepower, 681-cubic-inch T-head Six, below, with dual Bosch magneto ignition and Newcomb carburetion to two consecutive Vanderbilt Cup wins. Originally rated at 60 horsepower, the 11.5-liter was modified and brought up to 100 horsepower. With double chain drive and four speed transmission, the 3,306-pound Beast could hit 121 mph. 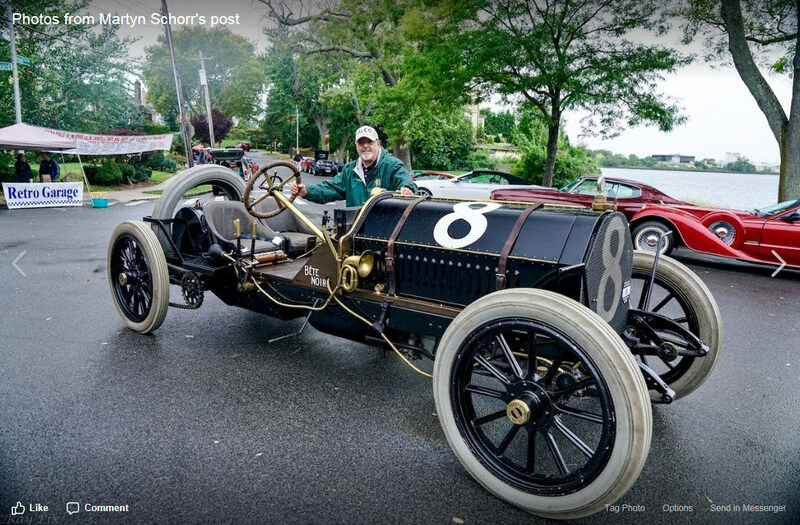 Kroplick’s mechanic fired it up a number times and made passes down the street in the rain! 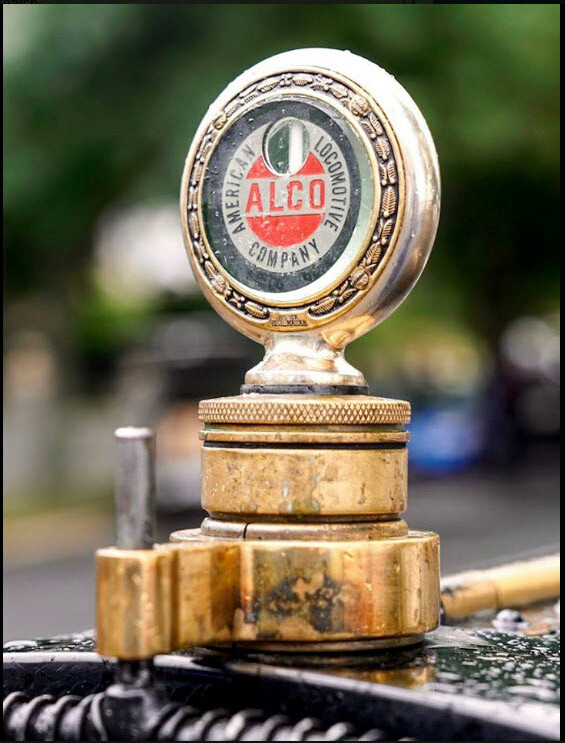 The Alco Black Beast was awarded Malba's Commodore Trophy. Way to go Howard - road racers aren’t afraid of a little rain! This is a fantastic antic car for all kind of car collectors. I really love this car for his historical value.